Despite acupuncture being used for thousands of years, it’s only been in the last 30-40 years that the western world has truly taken notice of this natural medicine and begun to study it in ernest. Below are some of the best studies available from some of the brightest minds in the acupuncture community. Many of these studies are for conditions that we regularly treat here in our Vermont practice. Research reveals acupuncture works better then drugs like aspirin to reduce the severity and frequency of chronic headaches. Studies showIn Vitro Fertilization (IVF) drugs “work better” used in combination with acupuncture, it enhances the success rate. Acupuncture and smoking: The effects of acupuncture on smoking cessation. Acupuncture and alcohol: The effects of acupuncture on alcoholism. Acupuncture for Arthritis: An alternative treatment finds relief. Osteoarthritis of the Knee: Acupuncture helps knee pain. Acupuncture and Coronary Heart Disease: Results show superior success. Heart Failure and Stress: Acupuncture shows decrease in stress. Acupuncture Cuts Blood Pressure: Acupuncture can lower blood pressure. Acupuncture Can Lower Blood Pressure: Scientist investigate how it works. Reduction of Fatigue: Study shows acupuncture reduces fatigue during cancer treatment. Reduction in Hot Flashes: Common side effect of cancer treatment, hot flashes, examined. Cancer Pain: Pain is reduced 36% in this study for cancer patients. Review of Current Literature: Includes a comprehensive review of the role of acupuncture for cancer patients. How Does It Work: Examining acupuncture’s effect on pain through the science of the brain. MRI Shows Acupuncture Reduces Pain: Research on using LI 4 for pain reduction. 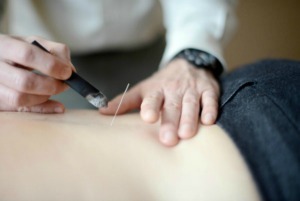 Acupuncture and Endorphins: Study shows release of body’s natural pain killer with acupuncture. General Fertility: Study comparing Traditional Chinese Medicine and Western Medicine for fertility. Sperm Quality: Acupuncture effecting men’s sperm quality. A Cure for Fertility? : Article reviewing acupuncture’s role in natural and ART conception. Improving Rates of Pregnancy Using IVF: Acupuncture assists with ART. 15% Increase in Success Rates: Pregnancy rates using Acupuncture with IVF. Helping Women Ovulate: Acupuncture studied to see changes in ovulation. Tension Headaches: Randomized Control Trial using Acupuncture. 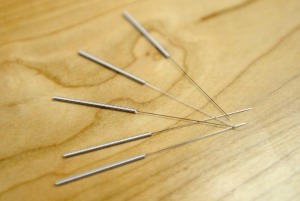 Acupuncture Helps Tame Tension Headaches: German Study shows promise for Acupuncture. Acupuncture May Be Useful for Migraines: Patients with frequent migraines get better. Osteoarthritis of the Knee: Acupuncture decreases pain. Chronic Low Back Pain: Research shows decrease in pain in older patients. Acupuncture Improves Outcome for Low Back Pain Patients: Compared with usual care, acupuncture helps. Acupuncture Relieve Sciatica Pain: Reviews acupuncture versus drug therapy for sciatica. Osteoarthritis of the Hip: Acupuncture superior to exercise therapy alone for hip. Acupuncture May Cool Night Hot Flashes: Severity decreased 28%. Acupuncture May Lessen Post-op Pain and Nausea: Study conducted post breast cancer surgery. Acupuncture A Promising Treatment for Depression: Study shows acupuncture’s use in pregnancy depression. Pelvic Pain In Pregnancy: Acupuncture helps late pregnancy pelvic pain. Labor Pains: Acupuncture and acupressure studied to decrease pain during labor. Morning Sickness: Acupuncture study shows decrease in morning sickness. Acupuncture Calm’s Moms: Less anxious Mom’s create less anxious children.